Little poodle Antoinette lives contentedly with her family in Paris. All of her bulldog siblings seem to have found their unique strengths, but not Antoinette. She wonders. One day, she has a revelation as she follows her heart and instinct in a true act of bravery. Fans of a certain spunky bulldog named Gaston will be elated to see him make an appearance in this lively and affable sequel. 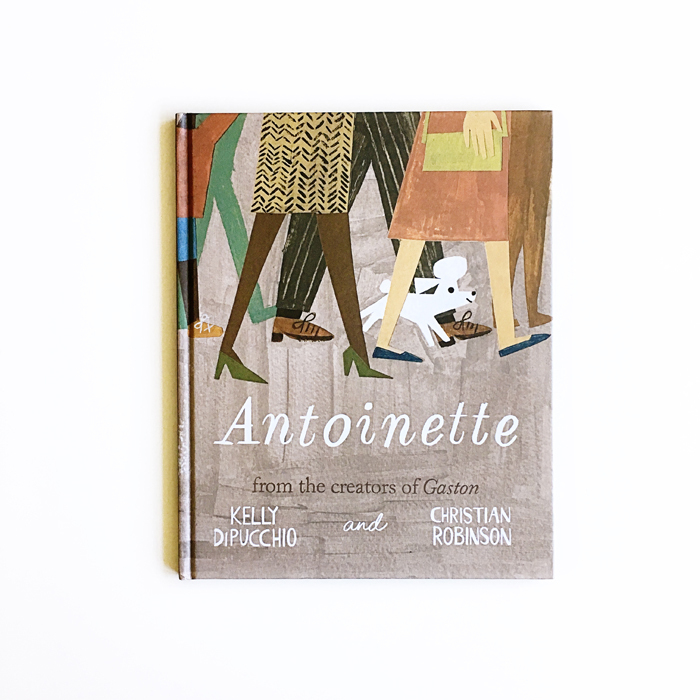 Antoinette was written by Kelly DiPucchio, illustrated by Christian Robinson and published by Atheneum Books for Young Readers.